In the world of movies, artificial intelligence (AI) occupies a separate genre. Different scripts prophesize a versatile course of events in which a technological leap in 2018 should have been more significant that it is. Although we haven’t faced yet any of the cine threats or benefits, artificial intelligence has already rushed into the life of contemporary humans. And the trend keeps growing providing new applications for machine learning and artificial intelligence technologies. Wish to learn Artificial Intelligence? Then Intellipaat Artificial Intelligence & Deep Learning Course is there for you. Intellipaat is one of the most renowned elearning platform who provides big data,data science,salesforce and blockchain training course taught by industry experienced trainers. AI solutions are the most alluring slice of the cake that attract billion dollars of investments. In that context, technology adopters attempt to occupy the leading positions in their industries due to AI-driven platforms and services. As for now, healthcare, manufacturing, automotive, and financial services are at the wheel of the global adoption trend, but other industries breathe down the neck. Experience shows that people tend to believe figures more than words. On that account, any claim that financial industry is one of the AI adoption leaders is entitled to recognition if supported by some survey or report. In 2017, MGI also known as the McKinsey Global Institute made a research to reveal the world economy’s readiness for artificial intelligence. According to it, the strongest adopters of the innovation include high tech, vehicles, and financial services. We will focus on the latter due to an expansive application scope and the promising area of AI development called fintech machine learning. Also Checkout Will AI Replace Thesis Writers? Banks and versatile financial institutions have already tasted advantages provided by ML techniques for both front and back office activities. AI-driven automated trading algorithms have been leveraged in the industry since the 1980s. In addition, the innovation found its use in handling routine tasks associated with documents and different sorts of analysis. ML-based solutions got at customer service as well. In the nearest future, traditional customer experience will fade with the rise of chatbots, advanced banking apps, and other advanced tools. Let’s look at five use-cases of artificial intelligence in finance. Today, financial services have to secure their information against not only theft but also the loss of trust, fake activities, authentication violation, and other issues. Fraudulent activities are evolving that forces fraud-detection systems to evolve too. In that case, artificial intelligence provides a solution to determine whether a transaction is fraudulent. Instead of manual verification, an AI-driven algorithm collects and analyzes relevant data to predict and prevent threats. In a short time, advanced digital technologies will knock out versatile manual operations and activities including the financial reporting process. AI allows for automating financial planning and analysis by integrating data from internal and external sources. As a result, you’ve got seamless access to refined data for more accurate and smarter business decisions. Moreover, automated financial reporting saves the employees’ time and efforts spent on mundane tasks. 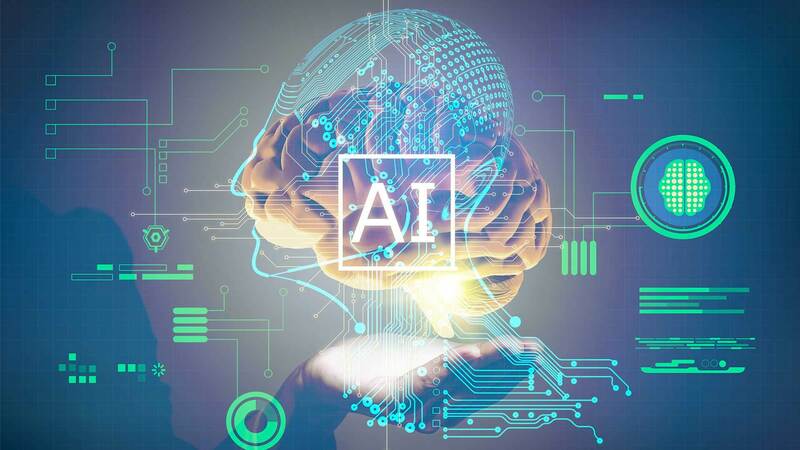 The world of financial management will soon face significant changes due to the AI’s ability to give unbiased forecasts. Machine learning algorithms can make financial predictions including cash-flow prediction, profit-loss forecasting, balance-sheet planning and others based on strict and bias-free data analysis excluding any deliberate data corruption. As for financial markets, AI-driven models can help make predictions of future variations by analysing the history of market transactions over several years. Moreover, such sources of information as news, docs, reports, and social media will become another essential element in AI financial forecasting. Also Checkout What Does AI Mean for Healthcare Industry? Chatbots and conversational interfaces are not a novelty for a modern human. However, AI has a huge potential to bring these customer service tools to the next level where they will give intelligent answers to questions, provide wealth management recommendations, handle different requests, etc. Financial service providers won’t require to recruit customer services specialists anymore since one machine learning algorithm can be a decent substitute for a whole department. Clientage wants human-like bots, and they will come in the future. The artificial intelligence’s role in investment decision-making steadily increases. Its ability to learn from data analysis is successfully applied in executing different investment strategies. For now, investment companies use static software to create portfolios, make selections, compare and evaluate data based on certain factors. Artificial intelligence, in turn, involves machine learning, which allows you to adapt to changes and make balanced investment decisions. The financial industry is a fruitful area where artificial intelligence solutions can grow and evolve. The technology continues to refine itself and seeks for new applications in different activities. Nevertheless, it is not improbable that other industries will recapture the leadership and increase their AI adoption rate in the future. Will AI Replace Thesis Writers?